Anchors Away is an east end, canal front neighborhood of 52 home sites on mangrove canals. 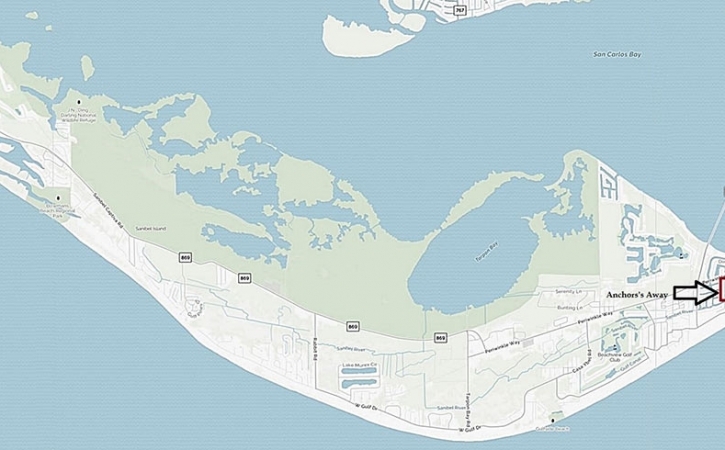 Anchor’s Away uses the public beach access and the city of Sanibel sewer system. Boaters only need to pass under one small bridge before entering San Carlos Bay. Very convenient to the Sanibel Causeway for folks who work in Fort Myers.